Brown the ground beef and add half of the packet of taco seasoning. If you cook a pound of ground beef, use the whole packet. Follow the steps on the taco seasoning packet. Heat up the Gordo's Queso Dip. 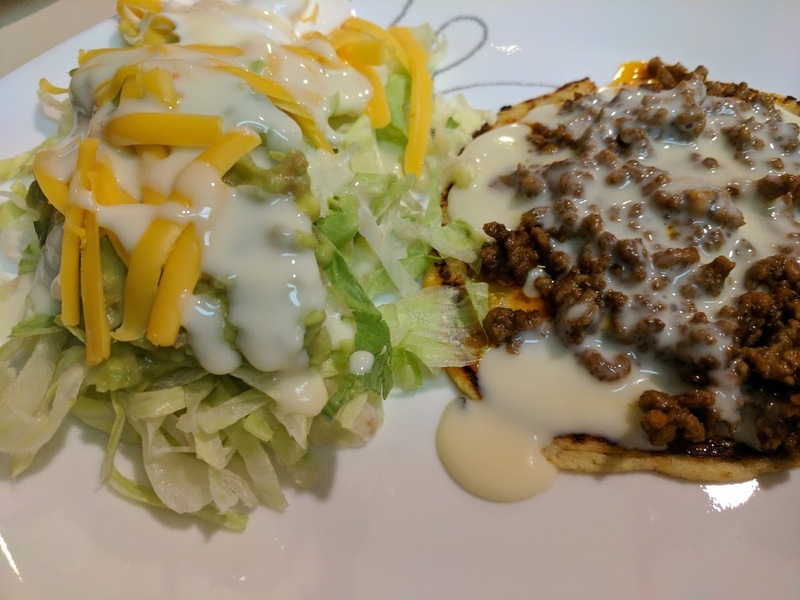 Top the cooked tortilla with ground beef and queso. Add the avocado, tomatoes, onion, cilantro, lime juice, salt, pepper, and crushed red pepper to a food processor and mix. Once you have made the guacamole, place 1/2 cup shredded lettuce on your plate and top with a few spoonfuls of guacamole, Gordo's Queso Dip and 1/4 cup of shredded cheese.